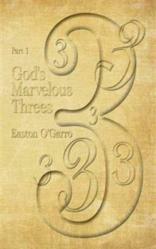 Christian author Easton O’Garro illustrates the power of “threes” in debut book. “As I studied the bible,” says author and biblical scholar Easton O’Garro, “I found that most of the major teachings come in three parts.” In his new book "God's Marvelous Threes: Part 1" (published by AuthorHouse), O’Garro expands on the biblical instances of trios and shows readers how understanding this phenomenon can lead to a closer relationship with God. Baptized into the Christian church over 35 years ago, O’Garro has spent the majority of his life studying biblical text. With the release of God's Marvelous Threes, his first book, O’Garro hopes to encourage Christians to learn the full meaning of their faith. Easton O’Garro was born on the tiny island of Montserrat in the Caribbean. He had his re-birth on May 31, 1975 when he was baptized into God’s remnant church. He has served the church in a number of capacities and has preached in numerous evangelistic crusades and revivals, leading many to Jesus.